God uses the Bible to reveal truth, to teach us and to prepare us for life as His representatives in the world. A good knowledge of God’s Word is so valuable for believers, no matter what their calling is. It’s an incredible privilege to have the Bible to study! The DBS is a great time to saturate yourself in God’s powerful and life-changing Word. Alongside Bible study, the DBS will also be engaging with God in times of worship and intercession, and partnering with God in sharing the Good News with the local community. There will also be an exciting opportunity to put learning into practice on an outreach, taking God’s Word to the nations! God must have had fun creating New Zealand. The alpine scenery around Queenstown is a constant reminder of God’s creativity and majesty, making it a great place to connect with the Maker of it all! YWAM Queenstown itself is a vibrant and rapidly growing new base, planted by God in one of New Zealand’s main tourist hotspots. About two million tourists from around the globe flock to Queenstown annually. This is a place that the nations come to. However, God has earmarked Queenstown as a place to train His people and send them out to the nations. God has amazing plans, which we’re thrilled to see unfolding! Our heart is to be a centre where people can discover their identity and calling, be trained, prepared and equipped, and then released to carry it out. 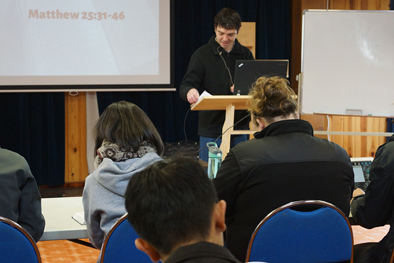 A big focus of YWAM Queenstown is on sharing the Good News, both with the local community, and out in the nations. Abroad, the base has a special spotlight on the Pacific – particularly Papua New Guinea – and South East Asia. 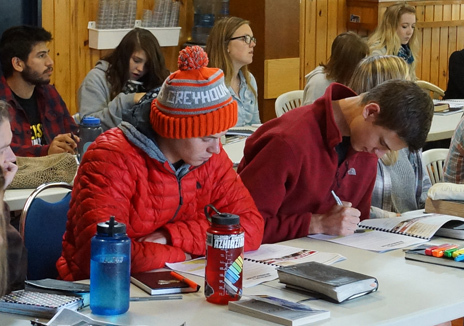 We wish the DBS to reflect the broader base’s focus on local and international outreach, and take Bible knowledge to the nations and communities where there is so much need for it. Optional outreach to PNG: Our base has adopted a province in PNG called East New Britain for End Bible Poverty and we are committing to get a bible in every home in East New Britain. Our DBS is partnering with this vision, working on bible engagement and teaching in PNG. This will be a great opportunity to serve PNG and use what you learn to help others. 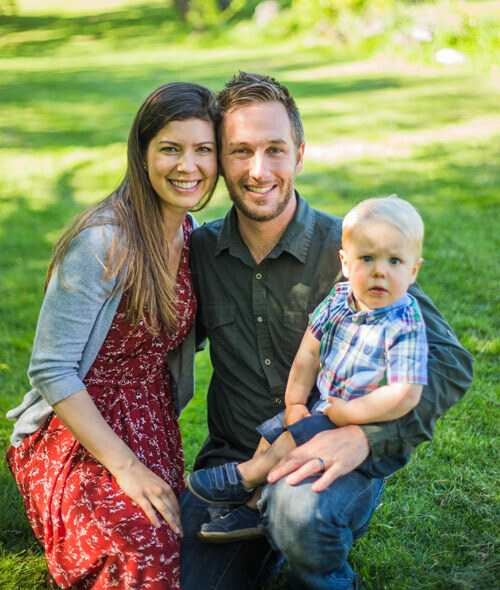 Jeremy, Lindsey and Hunter currently live in New Zealand working full-time at YWAM Queenstown. 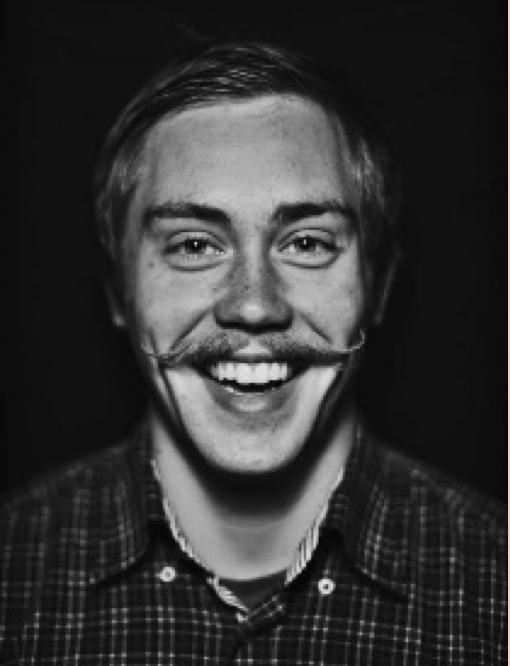 Jeremy has been involved in ministry for the past ten years working with the SBS, Youth Ministry and running DTS’s. The Bolton’s are excited to launch New Zealand’s first DBS in April 2017. 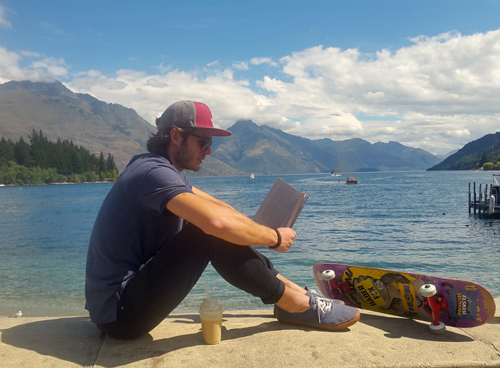 From Colorado, USA, Jon has been living in New Zealand for 2 years. He helped pioneer the first DBS in Queenstown and has been leading them since. He has a passion for us to become ‘doers’ and not only ‘hearers’ of the word. He now leads the DBS to equip people for a life of following Christ and stepping into the truth of who they are in Christ.